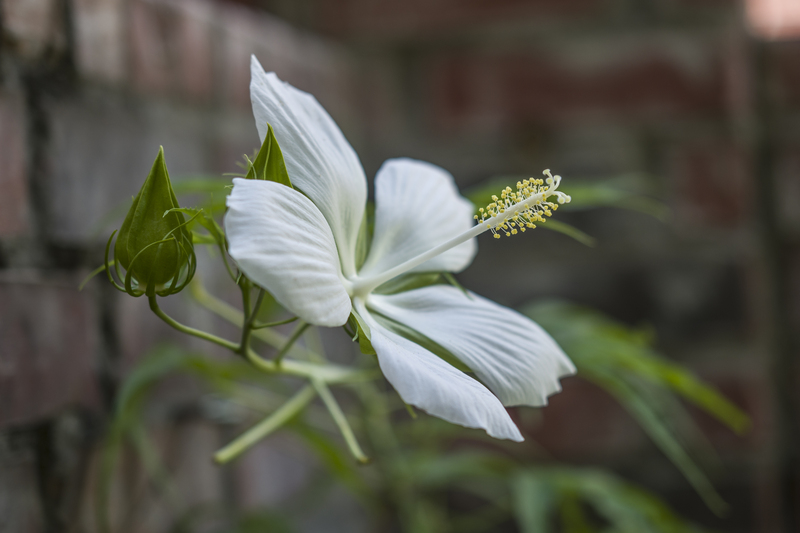 This tall perennial Hibiscus with maple-like leaves is a trouble free garden plant. It is a little-known cultivar that has pure white flowers rather than the standard red. Grows well in wet to moist soil in sunny locations. This beauty is blooming in my walled garden right now. Texas heat does not bother it.